Meet our guides and find out Why we are Wyoming's favorite guide service! Our Core Values: Honesty, integrity and hard work define us. 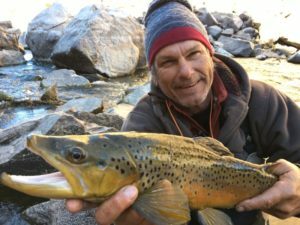 The Owner’s 100% Guarantee: I only hire enthusiastic experienced Wyoming fly fishing guides for my staff. Patience is a quality that describes all of our guides, as their ability to guide all levels of anglers is paramount. If you are unsatisfied with a guide's work ethic, professionalism, or attitude, I will refund your money. 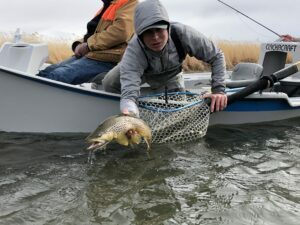 FACT: The Grey Reef section of the North Platte River near Casper, WY was named the #1 big fish destination in the lower 48 by American Angler Magazine. View our various options for guided trips and book your next Wyoming fly fishing trip online today! 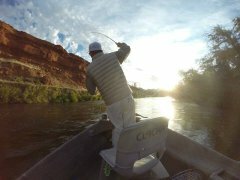 Learn more about the various riverside lodging options we offer on the Grey Reef & Bighorn River. 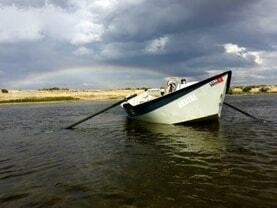 Wyoming anglers is the only Grey Reef driftboat rental service offering skiffs! Affordably priced, quality driftboats available daily. 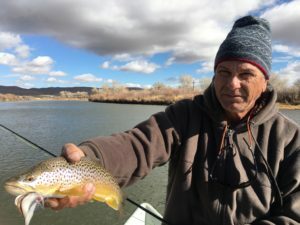 Why Fish with Wyoming Anglers? 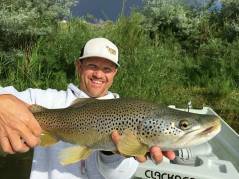 Get our monthly newsletter with the fishing report & other Wyoming fly fishing news. 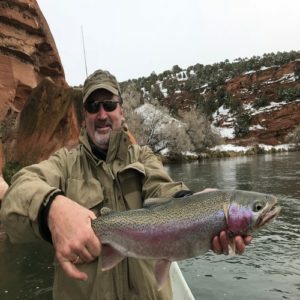 Fly Fishing Casper Wyoming, the North Platte River, & the surrounding region with expert guides. We are Wyoming’s foremost fly fishing guide service offering wade and float trips on several Wyoming Rivers. Our Home waters on the North Platte River include the Grey Reef, the Miracle Mile, Fremont Canyon and the Upper North Platte River near Saratoga, Wy. Our other favorite destination in Wyoming is the Bighorn River in Thermopolis which is only two hours away from Casper. 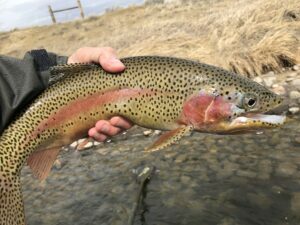 So if you are looking for fly fishing near Casper Wyoming, you have multiple options when choosing Wyoming Anglers. We pride ourselves on providing first class customer service. Not just any guide can work for us. We only send our guests on trips with the best-handpicked fly fishing guides from around the country who we have thoroughly trained and tested. You can expect the best when you fish with our Casper Wy fishing guides, and that’s a guarantee. But don’t take our word for it, read some of our guest testimonials. Experienced anglers will enjoy our trophy brown trips or the challenge of throwing dry flies during the Stonefly hatch at the Miracle Mile. New anglers will learn the joys of fly fishing with our patient guides who are happy to introduce you to the sport of fly fishing. If your a beginner and only have a few hours, our fly fishing lessons in Casper Wyoming would be the perfect option. 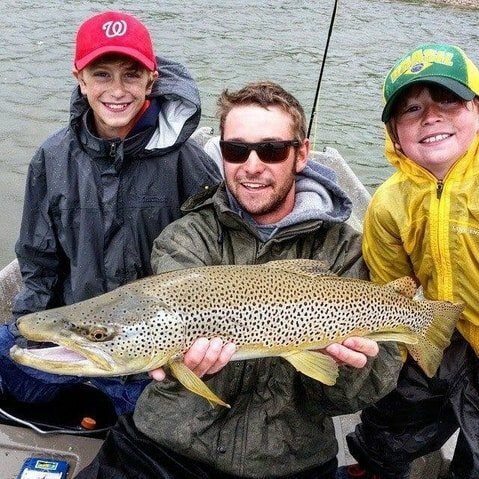 At Wyoming Anglers, we welcome anglers of all levels, and we invite you to join us for the trip of a lifetime! We have wonderful vacation lodge accommodations near Casper, Wyoming right on the North Platte River where you can relax in the hot tub, work out, or do some evening fishing right out the back door. Our Casper Wyoming fly fishing guide shop is conveniently located on the edge of town as you are heading to the Grey Reef sections of the North Platte River. If you want to stay in Casper and be close to fine dining in the evenings, our shop is only a 5-10 min drive in the morning. 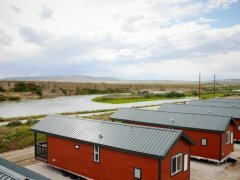 If you want river lodging and fine dining, then our lodge will be a great fit as it’s located on the Grey Reef below government bridge and 20 miles South of Casper Wyoming. If you would rather have more private lodging accommodations on the river with fly fishing wade access, then our cabins on Grey Reef will be the perfect fit. The Grey Reef dam is only a 10-15 minute drive South of the cabins, and 3-4 miles of public access on Trappers Route below Government Bridge is a short 10-15 min to the North. And of course, our fly fishing guides would love to pick you up at either of our Grey Reef lodging locations so you don’t have to drive.